S-5! products have been calculated for success. With you in mind the founder, Rob Haddock, developed a universal roof clamp and solar mount, perfect, for your roofing needs. 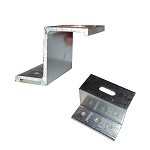 These products have been tested on all types of roofs and are used globally. 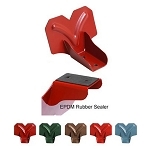 Their roof clamps can be used for almost any type of rooftop installation on a metal roof. 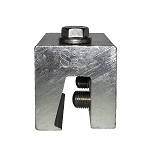 Their standard roof clamps are typically used for snow retention / snow guard installation on standing seam metal roofs. This includes the S-5! ColorGard, X-Gard and SnoRail / SnoFence. 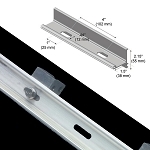 The Bracket series screws down into an exposed fastened metal roof, a 7/8" or 3/4" corrugated metal roof, a trapezoidal roof panel or other similar roof types to allow for the installation of their snow retention products. 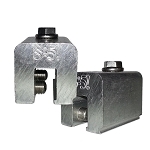 Their mini roof clamps are used to install solar panels, pipe conduits, walkways, HVAC units, other rooftop mechanical equipment and so much more. The most popular S-5! 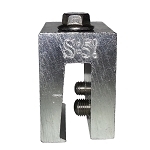 roof clamps include S-5-U, S-5-S, S-5-E, S-5-N, S-5-V, S-5-H90, S-5-T and the S-5-Z. 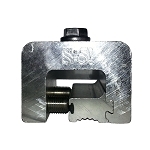 These roof clamps make it possible for the installation of items on most standing seam metal roofs: Snap-Lock, Nail-Strip, roof panel mechanically seamed 90 degrees or 180 degrees, a tee panel or a bulb panel. 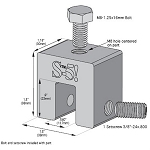 Their mini counter parts are best known as solar mounts that work hand in hand with the S-5-PV Kit (UL) and the EdgeGrab. S-5-U mini, S-5-S mini, S-5-E mini, S-5-N mini, S-5-V mini, S-5-H90 mini, S-5-T mini and the S-5-Z mini are called mini roof clamps because they perform as well as the S-5! 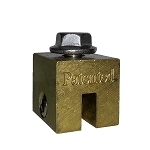 standard roof clamps, but they are smaller and more affordable. 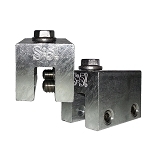 Except for the snow retention products offered by S-5!, the mini roof clamps can be used to install just about anything on a metal roof panel: signs, satellite dishes, antennas, lighting protection systems, exhaust stack bracing, condensate lines and anything else it needs to be.